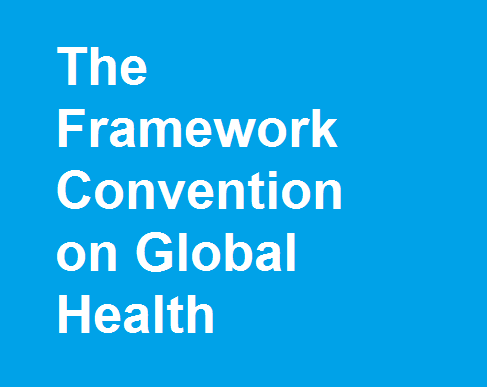 A key issue for the proposed Framework Convention on Global Health (FCGH) is how to engage with the existing architecture of health governance.1 Central within this architecture are the International Health Regulations (IHR). Most recently re-negotiated in 2005, the IHR are a remarkable achievement of global cooperation; but they embody a vision of global health that is, in practice, unacceptably narrow. The roots of the current IHR lie in the lazaretti of 15th century Europe, emerging through the international sanitary conferences of the 19th century, and the League of Nations and United Nations (UN) in the 20th. As such—notwithstanding accession in 2005 to a wider set of unspecified ‘public health emergencies’—the regulations remain, fundamentally, oriented to the transnational control of infectious disease. The IHR’s emphatic focus on disruptive infectious diseases—and resounding silence on non-communicable disease (NCD)—speaks of a foundational distinction within global health, framed by a neoliberal paradigm of social and economic management. On one hand, infectious disease is constituted as an assault on human society by an exogenous pathogenic nature—a battle in which the protective intervention of the state is not only warranted but mandated. On the other, NCDs are viewed primarily as endogenous to the individual (a combination of genetic and biological propensities manifested through behaviour, lifestyle and consumption choices). For the state to intervene in a similarly protective way would look worryingly like intervention between the individual and their sovereign right to choose how to live. In a world dominated by the discourses of liberal market democracy, such intervention is heavily proscribed. The projected global epidemiological transition to NCDs, and the overwhelming evidence of the role of economic globalisation, trade, and shifting consumption patterns in this process, must surely now be accorded the status of ‘public health emergency of international concern’ (PHEIC). Commensurately, causally-linked economic and trade policies forged at the global level may be viewed as analogous to transnational pathogens, and subject therefore to an international regulatory framework for health. Such a framework would need to extend considerably beyond the existing IHR.